CJJ offers numerous training and technical assistance opportunities at national and regional conferences, during webinars and live chats, and through technical assistance programs. Included below are resources and materials from webinars held in 2013. You can also watch CJJ webinars held in 2014 or 2015. The Institute for Family Centered Services is the developer and flagship provider of Family Centered Treatment (FCT), an evidence-based model already in use in Florida, North Carolina, Virginia, Maryland, Massachusetts, Ohio, and Indiana. FCT is a practitioner-developed, family preservation model of home-based treatment owned by the nonprofit Family Centered Treatment Foundation. Its origins derive from “in the trenches” efforts to find simple, practical, and common sense solutions for families faced with disruption or dissolution of their family due to both external and internal stressors and circumstances or forced removal of their children from the home due to their delinquent behavior. This family system’s trauma treatment model works equally well with juvenile justice, mental, and behavioral health populations. FCT developer William Painter served as a presenter on the Family Centered Treatment webinar on December 2. The recording of the webinar is available here. Across the United States, juvenile justice advocates are working tirelessly to challenge systems that so desperately need reform. One of the most successful reform strategies employed involves bringing all stakeholders together: judges, practitioners, service providers, young people, and families. Despite advocates' best attempts to include all stakeholders, young people and their families are too often left out of these discussions. Their absence creates a void. Not only for the specific reform work assumed in that jurisdiction, but also for the larger juvenile justice field. Young people are the next generation of juvenile justice leaders. Are we doing all we can to prepare them to carry the torch? CJJ held a webinar on Recruitment, Re-engagement & Re-entry: Incorporating the Youth Voice into Juvenile Justice Reform on November 21. This webinar highlighted two system reform efforts from Washington, that emphasize the inclusion of young people in advocacy efforts. These examples illustrate how engaging youth in advocacy has dual outcomes: (1) Youth voice serves an effective advocacy tool and often provides a perspective that moves leaders to implement change, and (2) including young people in reform efforts empowers them to become the next generation of advocates, while also developing their leadership and life skills. You can access the PowerPoint presentation here and the recording of the webinar here. 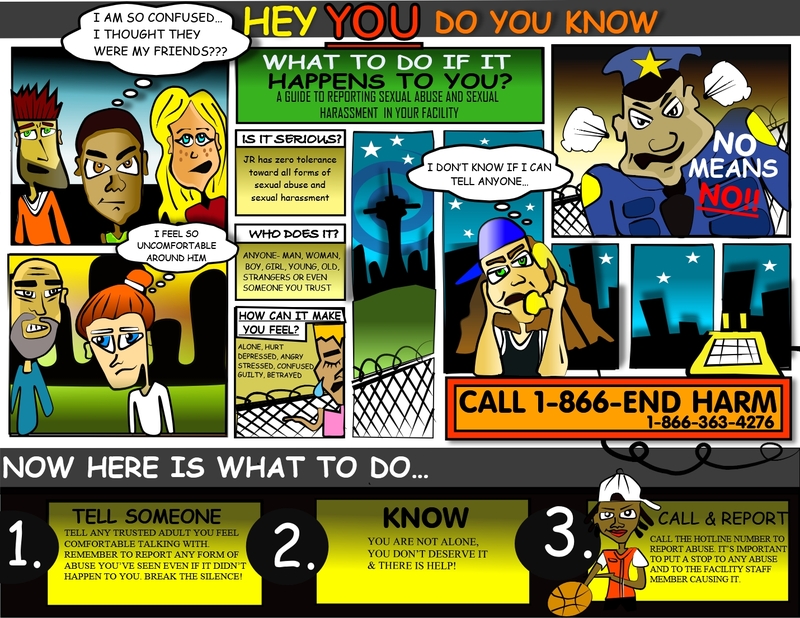 You can also download the following comic, infographic, Washington State Partnership Council on Juvenile Justice Bulletin, Examining Open Juvenile Records in Washington State: Process, Effects, and Costs of Protective Mechanisms report, the Youth Opportunities Act one pager, and the Raising Our Youth As Leader Program Description as resources. Want to do a better job of diverting youth who commit status offenses from the juvenile justice system? 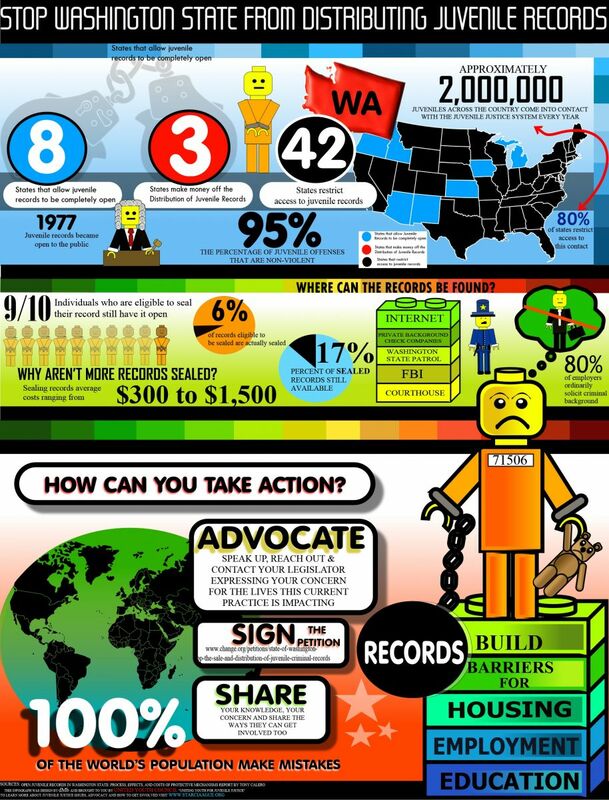 The "National Standards for the Care of Youth Charged with Status Offenses,"
The work that Kentucky Youth Advocates, an NJJN member, is doing to end the incarceration of youth who commit status offenses in their state. You can access the PowerPoint Presentation here. This webinar provided an overview of the School to Prison Pipeline, specifically examining how the overuse of suspension and the presence of police in schools affect young people. The Dignity in Schools Campaign, a multi-stakeholder coalition made up of youth, parents, educators, grassroots groups, and policy and legal advocacy groups, presented on its initiatives to challenge school pushout. Presenters offered potential tools and solutions to address the issues raised by the pipeline through examples from their own work on the ground. Presenters included Kaitlin Banner of the Advancement Project and Fernando Martinez, Harold Jordan, and Marsha Weissman from the Dignity in Schools Campaign. You can watch the recording of the webinar here and see the PowerPoint Presentation here. The presenters also referrred to the Model Memorandum of Understanding between a School District and a Policy or Sheriff's Department, the Advancement Project Model School Discipline Policy, the Denver Intergovernmental Agreement Concerning the Funding, Implementation and Administration of Programs Involving Police Officers in Schools, the Buffalo Public Schools Standards for Community-Wide Conduct and Intervention Supports, the Oakland School Police Department Public Complaints Process and Complaints Reports Policy and the Dignity in Schools Campaign Model Code as resources. Millions of misdemeanor cases are filed in state, municipal, and juvenile courts each year. This results in overwhelming dockets, overcrowded jails and detention facilities, and creates a significant financial drain during a time of budgetary cuts. In response, a growing number of jurisdictions, including Miami-Dade County, FL have reclassified a number of misdemeanor offenses as non-criminal (civil) violations. This session examined the economic and other impacts of reclassifying misdemeanors especially in juvenile justice and focus on whether a civil citation process is an effective public safety strategy that has resulted in a significant reduction in Disproportionate Minority Contact (DMC). The recording of the webinar is available here. At a time when federal and state funds for juvenile justice were being slashed, a unique partnership between a public entity, Juvenile Justice and Delinquency Prevention Committee (JJDPC), and a private foundation, the John D. and Catherine T. MacArthur Foundation, overcame this challenge to produce significant improvement in Pennsylvania’s juvenile justice system. This webinar examined how the extraordinary collaboration between Pennsylvania’s SAG and the MacArthur Foundation produced dramatic and lasting results for the youth of Pennsylvania and how efforts like this can be replicated in other jurisdictions. The recording of this webinar is available online. Using scenes and unused footage from Robert May's non-fiction film Kids for Cash, SenArt Films and Active Voice created a short 15-minute video designed for practical uses in juvenile justice reform work. With a storyline that will speak to a range of audiences, the video, discussion materials, and additional resources will be widely available in 2014. Focusing on the stories of youth and families affected by the Luzerne County scandal, it provides insight into the dire consequences of entering youth into a system without appropriate checks and balances and can serve as a springboard for dialogue and action toward reform. SenArt Films and Active Voice invited members and allies of CJJ to be among the first to have access to this video. This webinar focused on the National Standards, which were developed by the Coalition for Juvenile Justice (CJJ) in partnership with the National Council of Juvenile and Family Court Judges (NCJFCJ) and a team of experts from various jurisdictions, disciplines and perspectives, including juvenile and family court judges, child welfare and juvenile defense attorneys, juvenile corrections and detention administrators, community-based service providers, and practitioners with expertise in responding to gender-specific needs. Many hours were devoted to discussing, debating, and constructing a set of ambitious yet implementable standards that are portable, easily understood, and designed to spur and inform state and local policy and practice reforms. The National Standards build on the original intent of the JJDPA DSO core requirement, recent efforts to eliminate the VCO exception in Congress (S. 3155 and S. 678), and the “safety, permanency and well-being” framework set forth in the Adoption and Safe Families Act of 1997 (ASFA). Like ASFA’s focus on the child’s best interest, the standards call for system responses that keep youth and their families’ best interests at the center of the intervention. Individually and collectively, the Standards promote system reforms and changes in system culture, as well as the workforce needed to ensure ensures adoption and implementation of empirically-supported policies, programs and practices that effectively meet the needs of youth, their families and the community. This webinar showcased recent juvenile justice reforms in New York City and Illinois. It examined the implications for other states and localities--and possibly the nation--of the Close to Home and Redeploy Illinois approach and the role of SAGs in promoting similar realignment strategies. Presenters included Vincent Shiraldi, Commissioner of the NYC Department of Probation, Elizabeth Clarke, Juvenile Justice Initiative of Illinois, and Esther Franco-Payne, Metropolis Strategies and Illinois SAG Member.